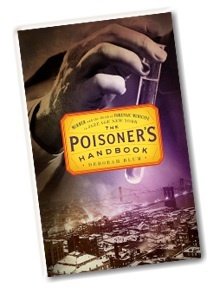 If you’re after a last-minute present for a fan of crime writing or popular science, preferably with a morbid bent, Deborah Blum’s The Poisoner’s Handbook* might be the ticket. But what of the struggle to create the forensic science industry? It, too, battled with local politics, bureaucracy, science and changing criminal landscapes. Subtitled Murder and the Birth of Forensic Medicine in Jazz Age New York, the lead characters of this work is the Chief Medical Examiner of New York City, Dr. Charles Norris, and toxicologist Alexander Gettler. Norris is appointed under strained political circumstances. His office’s story is told as more than a straight history, with each chapter titled for one poison and cases related to that poison, as well as the years covered. In this way the book mixes intriguing case stories with the on-going political and scientific struggles. 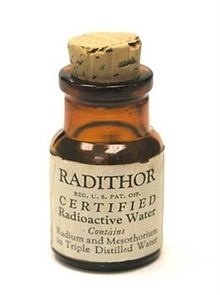 Overall the book covers 1915 through to 1936, eleven poisons, and contains a bibliography, notes and index to satisfy those seeking further reading. From either a writer’s or reader’s perspective the approach of mixing a chronological narrative with cases provides an interesting tension. ** Each case could deserve a book in their own right, but to give them much more space would distract from the running theme of the work, the story of the medical examiner’s office. Crime writing is a big market, woman’s writing in particular, and I feel this non-fiction work deserves attention by fans of that genre, if it hasn’t already. In a very real sense it goes back to the roots that their favourite genre is founded upon; most crime novels presume the current state of forensic science, this book looks at (part of) it’s origins told through the story of one office’s history and the cases it took on. I’d give specific details, but my time is limited and The Poisoner’s Handbook has been widely reviewed. My aim here is to convey overall impressions and who the book might appeal to. Interested readers are strongly encouraged to read the interviews I’ve linked in the Footnotes. I’d particularly like to thank David Kroll for the gift of my copy of the book. As of 25th January, 2011, this book is available in paperback. 20th February: Also nominated for an Agatha Award, best non-fiction section category. Other interviews include this at the A.V. Club and a recent interview where Blum appears to have branched out on a seasonal note to the side effects of too much spice. * Not Maxwell Hutchkinson’s 1988 book with the same title. ** It strikes me as a clever, but tricky, way to structure the text. Reading interviews I get the impression that challenges like this appeal to the author. and older posts I’ve written (use the tags to find the ones that mention books; they wonâ€™t all be obvious from the article titles). Have you ever given thought to â€œpediatric button battery ingestionsâ€ before? Read the linked article. Hmm, on a more serious note, it makes me think of little children and hearing aid batteries. A topic for another post, perhaps. For locals that are stretching their budgets, a copy of The Poisonerâ€™s Handbook has just arrived at the Dunedin Public LIbrary. Now #34 on the New York Times bestseller list, according to the author. The book has now been made into a film of the same title now showing on the PBS American History channel, to good reviews in major newspapers. There’s a preview of the film on the website.